The original Noarlunga, dating back to 1840, was a small town serving the adjacent farming country. It is located on the Onkaparinga River, not far from the sea. The new suburb of Noarlunga has developed at some distance from the old town and fortunately the modern highway bypasses the old town so it is rather hidden away and needs a conscious decision to access. 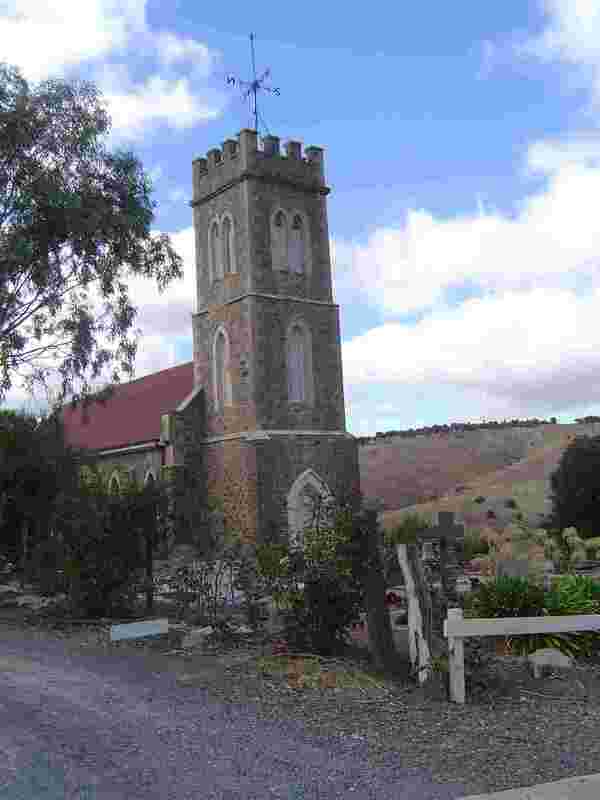 The old Anglican church was sited high up on a hill and has a commanding view of the river valley.